Hi everyone!! 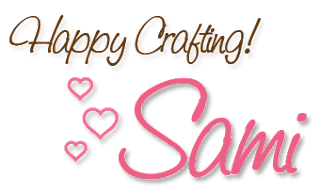 Samantha here! Sorry I am late, it has taken forever to get this video uploaded, but it is finally here. 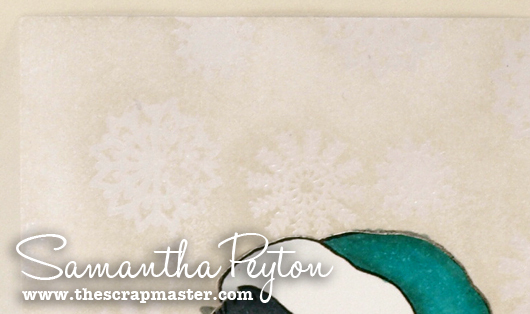 Today, I am going to show you a snowy emboss resist technique. 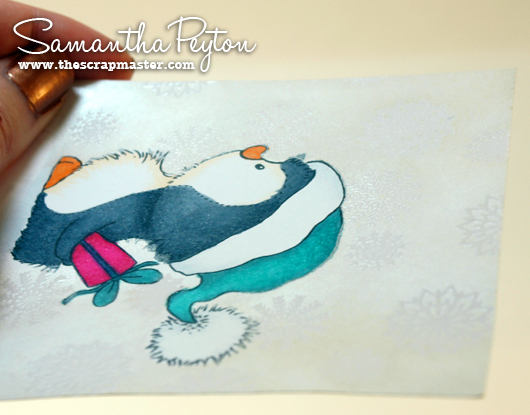 This technique is great to make snowy backgrounds behind your Copic colored images. With the holidays coming up, I thought it would be helpful for those holiday cards. Here are some close-ups of the snowy background. It is subtle, yet striking. 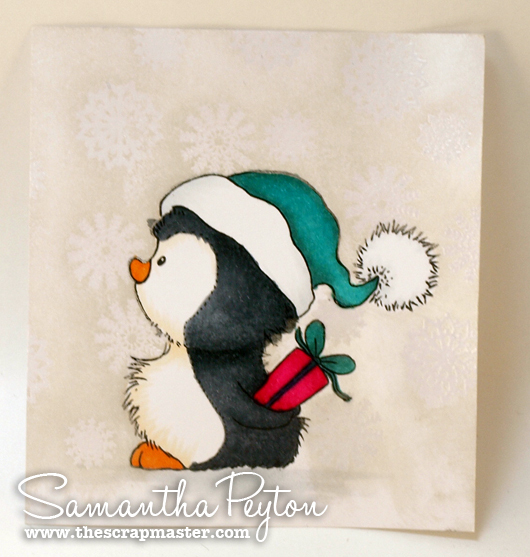 Colored image, I used Wild Rose Studio's Pickle with Present stamp. Brilliance Dew Drop "Platinum Planet"
I hope you will give this technique a try. If you do, please share it with us. We would love to see what you create! I just love the look of this background! Thanks for sharing!